Tastings are great. Not only do you get a unique opportunity to sample various wines from the globe, but you also get to develop and appreciate the flavour profile of various regions. For no particular reason, I've never in the past had an inkling towards Beaujolais. It was not necessarily a conscious aversion. Perhaps the lighter nature of gamay grape was a subtle cue that hinted to my senses that I wouldn't like it -- after all, my normal preference was generally towards darker, bolder reds be they the Old World terroir or New World confidence. 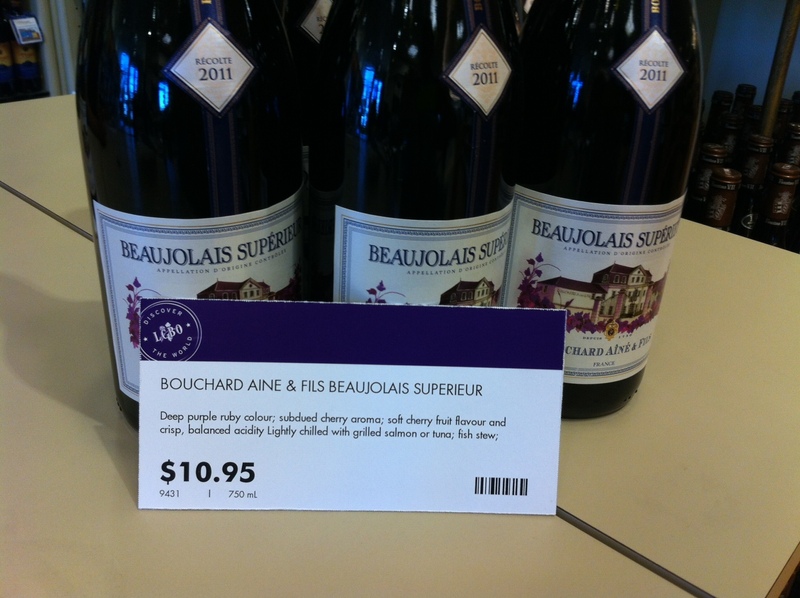 But over the weekend, the LCBO was having a tasting of a French wine: Bouchard Aîné Beaujolais Supérieur 2011. Wanting to try something new, I indulged in this Beaujolais varietal from Burgundy’s Bouchard Aîné et Fils. My first impression was neutral. But hold on, there is a reason for this. We live in a culture where fruit forward all the time has become the norm; the rise of Yellow Tail Shiraz is testament to the mass manufactured essence of modern wine: one that is laboratory tested, and artificially concocted for quaffing by the masses without an appreciation for the occasion. The subtlety of balance, nose, appearance and finish be damned as those are lost to commercial success. No, the Bouchard Aîné et Fils has made an approachable wine for good times. After the initial taste, I decided it was "not bad" but perhaps not something that I wanted to pick up. Then, upon further reflection a sip later, I started to appreciate it's complexity: a nose reminiscent of flowers for mom on mother’s day and a dryness that isn’t tart coupled with an acidity that isn’t harsh combining with a easy finish that is ideal as we look forward to the Victoria Day long weekend approaching (with Memorial Day soon after for our American friends). In terms of appearance, its deep purple ruby colour is very inviting, but it is the crisp flavour that intensifies subtly with every sip that delights and makes this a great choice for warm (but not scorching) weather, when you want neither the full throttle heaviness of a California Cabernet nor the thirst quenching lightness of an European Pinot Grigio. 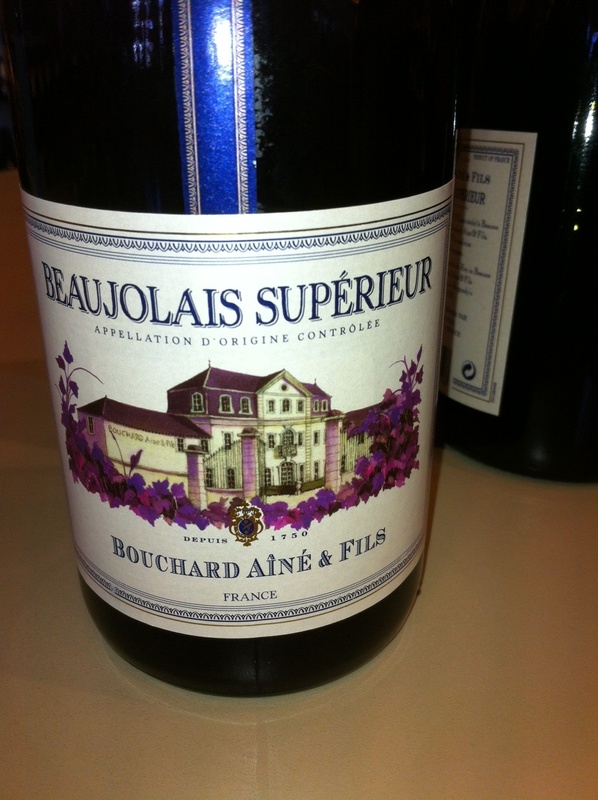 SukasaStyle recommends you serve this Bouchard Aîné Beaujolais Supérieur 2011 wine lightly chilled 10-13 oC / 50-55 oF. Remember that this is not a trophy Beaujolais Cru like Moulin-à-Vent or Chénas. 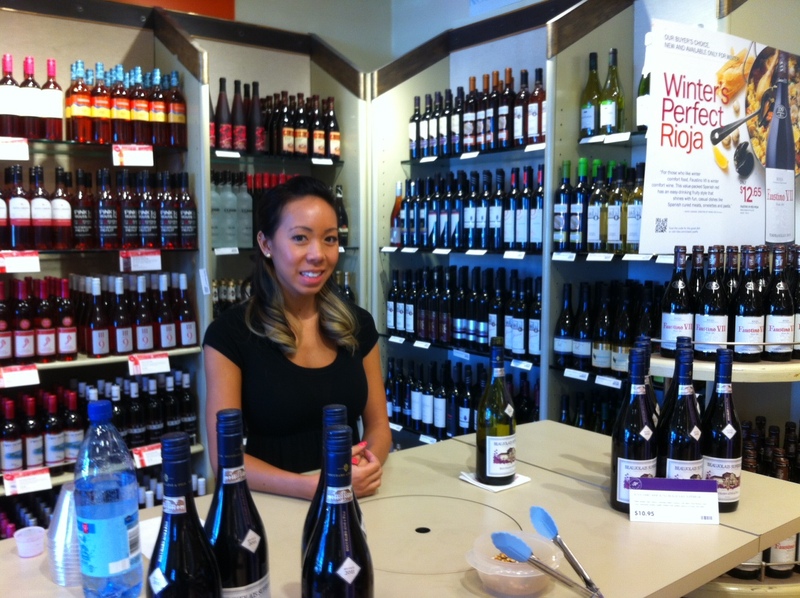 Drink now and enjoy; don’t cellar and take advantage of the LCBO pricing till May 26, 2013. A very delightful wine, to be drunk at any time. Great with a snack, with meats, poultry and grills. Chilling a red when one is in the mood to drink it is a perfect antidote to sweltering heat and there are enough technological gizmos available to make this achievable. The snobs amongst us will stress (of course) that over cooling is counterproductive to the nose and suppresses the flavour profile but if one considers that a decent glass is meant to be enjoyed at leisure rather then gulped then the heat would naturally bring out the flavour and aroma. An alternative to Beaujolais could be a lighter pinot noir –preferably those without tannins—or the standby rose for those who love sitting on the fence and are undecided between a refreshing red or a light white. Failing this check out what is served in the hot climates along the Mediterranean Sea; they know what they are doing and have been doing it for generations.